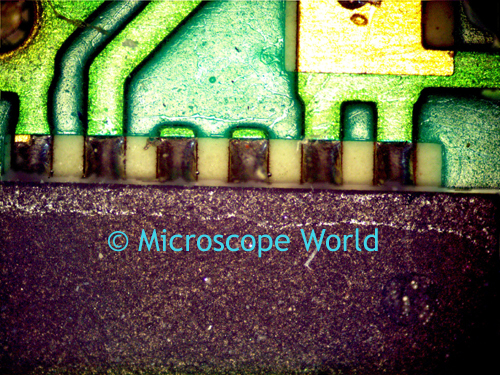 Microscope World carries a line of cameras that include Advanced Panasis Software. 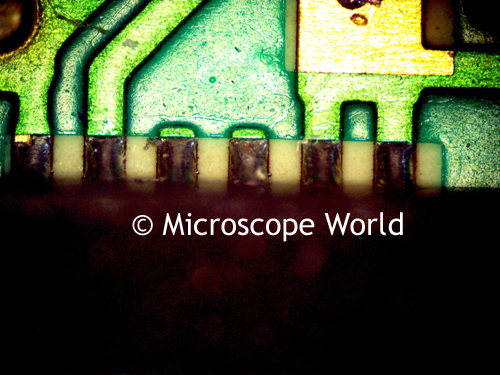 One of the features of this microscope software includes the ability to capture two microscopy images and combine them. The manual multi-focus imaging (extended depth of focus tool) allows the combination of several unfocused images into one sharp image. This process is very helpful when the subject height is greater than the available depth of focus, resulting in an image that is partially out of focus. Multiple images captured in sequence from top to bottom are combined into a composite in-focus image. Below image #1 and #2 were combined in the bottom composite image using the microscope camera software. 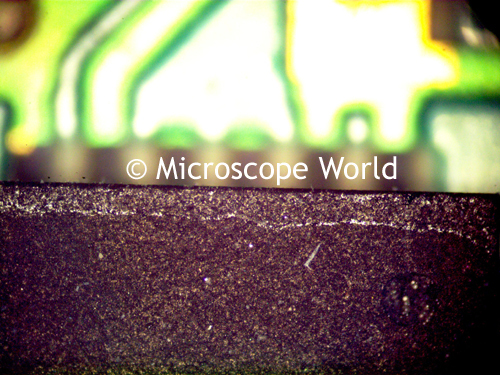 Images were captured using a Huvitz Stereo Microscope.